ACRYLITE® digital print is a crystal clear acrylic sheet with enhanced adhesion properties for UV curable inks used in today’s flatbed digital printers. 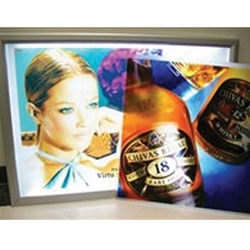 ACRYLITE®digital print eliminates the need for costly adhesion promoters or other labor intensive surface preparation. The optical clarity of ACRYLITE® digital print ensures color accuracy and brilliance on every print.The superior adhesion properties provide additional durability in handling, shipping, and installation. Water clear edge color allows for beautiful exposed edges when polished.